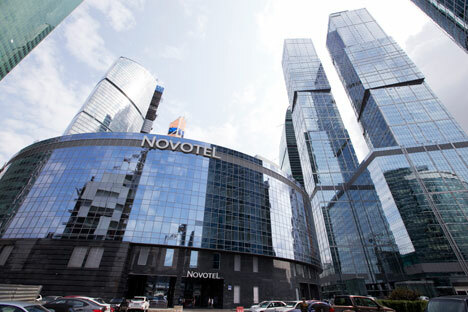 The market for commercial space in Moscow has fallen dramatically in recent months as foreign investors rethink their positions in the Russian market. The demand for office space in Moscow has dropped dramatically in the first six months of 2014. According to data from the Colliers International real estate consulting firm, the amount of real estate transactions fell by nearly 80 percent compared to the same time last year. The last time the market showed such a decline was during the 2008-2009 financial crisis, when Russian GDP fell by 7.9 percent. However, this time the drop cannot be tied to the Russian economy as a whole. According to official data provided by the Ministry of Economic Development, the economy has grown by 1 percent in the first six months of 2014. "The main reasons for the fall in the office market," said Mikhail Rozhko, Director of the Brokerage Department at NAI Becar, "are the decrease in growth of the economy and industry due to companies slowing down their development and the cessation of the starting up of new ones." In Rozhko’s opinion, international firms have become more cautious in dealing with the Russian market due to the current political situation, and if a business is not certain about its perspectives in the coming year, there can be no talk of growth and the opening of new offices. The transactions that are taking place involve Russian firms, not foreign investors. Currently, the share of all transactions made by Russian investors has increased by 82 percent in the overall volume," said Alexander Churikov. This is up dramatically from the first quarter of 2014, when the share of Russian investors in office real estate deals was 57 percent. "The activity of the international companies first and foremost depends on the development of business in Russia," said Lidia Alexandrovna, Director of the Global Corporate Services Department at CBRE Russia. "There is a certain wariness manifested by companies that are planning on entering the Russian market. They try not to sign long-term rent contracts or agree to flexible exit conditions from the contract." Several companies for whom CBRE had already begun searching for offices in Moscow have recently postponed entering the Russian market for a few months.